AUTOMOTIVE parts manufacturer ElringKlinger (GB) is building on the success of its progressive apprenticeship scheme with the launch of a ‘Routeway to an Apprenticeship’ student sponsorship programme in partnership with Middlesbrough College. Nine individuals looking to kickstart their career in engineering have been given the opportunity to have one year of studies at the college funded by ElringKlinger, furthering their qualifications with a Level 3 Subsidiary Diploma in Mechanical Engineering. After this, they will be in with a chance of being selected to become an apprentice at the company’s Redcar base. Joshua O’Connor, 17, and Ethan Young, 17, both from Rye Hills Academy in Redcar, are amongst the first intake of students to benefit from the new programme, having previously completed successful work experience placements with ElringKlinger. Following the success of its first intake of young people, the company will soon be looking to recruit a second phase of students to join the scheme this September. ElringKlinger’s new sponsorship programme launches alongside its increased commitment to supporting the workforce of tomorrow, as the company prepares to recruit more university students to its ‘Year in Industry’ programme and strengthens its relationship with local education providers through organised work experience placements with secondary school pupils. 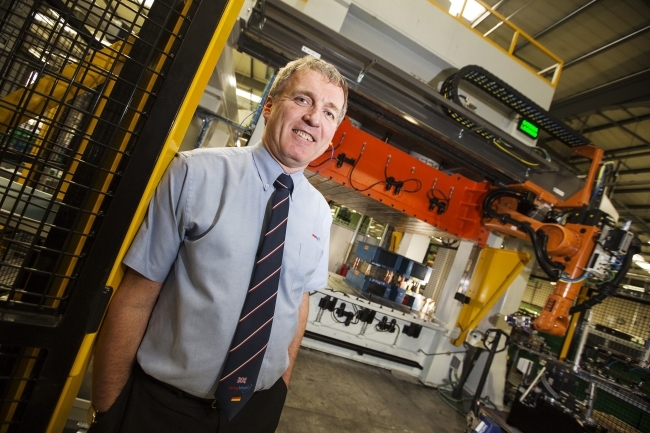 Ian Malcolm, managing director of ElringKlinger (GB), said: “As a business, we see bridging the skills gap in the region’s engineering and manufacturing sector as paramount. The success of our long-standing apprenticeship programme has highlighted that offering hands-on training to young ambitious individuals is an excellent way to do this. “Our current apprentices have visited the House of Commons to discuss their career route, are part of the North East Young Ambassadors Network and have won awards in recognition of their hard work.